Welcome to ConnectOcean Aquatic Academy and Dive Centre! This feature will allow new clients to register for our courses or events. Please complete the following registration form. I am aware that swimming has inherent risks which may result in serious injury or death. I understand and agree that neither the instructor(s), nor the facility through which this program is offered, ConnectOcean Aquatic Academy nor Starfish Aquatics Institute, LLC. ("SAI"), nor PADI Americas, Inc. nor its affiliate and subsidiary corporations ("PADI"), nor any of their respective employees, officers, agents, contractors or assigns (hereinafter referred to as "Released Parties") may be held liable or responsible in any way for any injury, death or other damages to me, my child, my family, estate, heirs or assigns that may occur as a result of participation in this program or as a result of the negligence of any party, including the Released Parties, whether passive or active. I/my minor child is in good health and have/has no physical condition that that would prevent participation in this program. Swimming is a physically strenuous activity resulting in exertion and if injured as a result of heart attack, panic, hyperventilation, drowning or any other cause, I expressly assume the risk of said injuries and will not hold the Released Parties responsible for the same. I understand and agree that I am not only giving up my right to sue the Released Parties but also any rights my child, heirs, assigns, or beneficiaries may have to sue the Released Parties resulting from participant death. I further represent I have the authority to do so and that my heirs, assigns, or beneficiaries will be stopped from claiming otherwise because of my representations to the Released Parties. I, by this instrument agree to exempt and release the facility and professional staff providing the program, Starfish Aquatics Institute LLC, PADI Americas, Inc., and all related entities as defined above, from all liability or responsibility whatsoever for personal injury, property damage or wrongful death however caused, including but not limited to the negligence of the Released Parties, whether passive or active. I understand and agree that the facility through which this program is offered, and its associated staff, are licensed to use various SAI and PADI Trademarks and to conduct SAI and PADI training, but are not agents, employees or franchisees of SAI or PADI. I further understand that these business activities are independent and are neither owned nor operated by neither SAI nor PADI, and that while SAI establishes the standards for PADI Swim Programs, neither SAI nor PADI is responsible for, nor do they have the right to control, the operation of the facility's business activities and the day-to-day conduct of the swim programs. I further understand and agree on behalf of myself, my heirs and my estate that in the event of an injury or death during this program, neither I nor my estate shall seek to hold SAI or PADI liable for the actions, inactions or negligence of ConnectOcean Aquatic Academy and/or the instructors associated with the program. I HAVE FULLY INFORMED MYSELF AND MY HEIRS OF THE CONTENTS OF THIS LIABILITY RELEASE AND ASSUMPTION OF RISK AGREEMENT AND THE NON-AGENCY DISCLOSURE AND ACKNOWLEDGMENT AGREEMENT BY READING BOTH BEFORE AGREEING ON BEHALF OF MYSELF, MY MINOR CHILD AND ALL HEIRS. Por favor, lea detenidamente y rellene los espacios antes de firmar. Soy consciente de que nadar involucra riesgos inherentes que pueden causar lesiones graves o la muerte. Entiendo y estoy de acuerdo con que ni el/los instructor(es) ni las instalaciones a través de las que se dirige este programa, ConnectOcean Aquatic Academy, Starfish Aquatics Institute, LLC. ("SAI"), PADI Américas, Inc., sus entidades filiales y subsidiarias ("PADI") ni alguno de sus empleados respectivos, funcionarios, agentes, contratistas o cesionarios (de aquí en adelante denominados "Partes eximidas"), pueden ser señalados como responsables de cualquier manera por cualquier lesión, muerte u otros daños a mí, mi familia, patrimonio, herederos o cesionarios que puedan ocurrir como resultado de mi participación en este programa o como resultado de la negligencia de las Partes eximidas, ya sea de manera activa o pasiva. •	Yo/mi hijo/a menor de edad estoy/está bien de salud y no tengo/tiene condición física que impida la participación en este programa. •	Nadar es una actividad físicamente agotadora resultando del esfuerzo y en caso de lesión como resultado de un infarto, pánico, hiperventilación, ahogamiento o cualquier otra causa, yo asumo expresamente el riesgo de dichas lesiones, y no responsabilizaré a las Partes eximidas por esas mismas. •	Soy mayor de edad y soy competente legalmente para firmar este acuerdo de exoneración de responsabilidad. Entiendo que las condiciones de la presente son contractuales y no un mero relato, y que he firmado este Acuerdo por voluntad propia y con pleno conocimiento que por la presente renuncio a mis derechos legales. Convengo asimismo en que si se determina que cualquier disposición de este Acuerdo es inaplicable o inválida, dicha disposición se considerará cancelada de este acuerdo. El resto de este Acuerdo será entonces interpretado como si la disposición inaplicable nunca hubiera figurado en él. •	Entiendo y acepto que no sólo renuncio a mi derecho de demandar a las Partes eximidas, sino también a cualquier derecho que puedan tener mis herederos, cesionarios o beneficiarios para demandar a las Partes eximidas, como resultado de mi muerte. Además declaro que tengo la autoridad de hacerlo y que mis herederos, cesionarios y beneficiarios quedarán imposibilitados de presentar cualquier otra reclamación, como consecuencia de mis declaraciones a las Partes eximidas. Yo, (padre o madre/participante), por medio de este instrumento acepto exentar y descargar las instalaciones y el personal profesional que provee este programa, Starfish Aquatics Institute LLC, PADI Américas, Inc., y todas las entidades relacionadas tal como se definen anteriormente, de toda culpabilidad o responsabilidad por lesiones personales, daños materiales u homicidio culposo, sin importar la causa, lo cual incluye, entre otras, la negligencia de las Partes eximidas, ya sea de manera activa o pasiva. Entiendo y acepto que las instalaciones a través de las que se dirige este programa, y su personal asociado, están autorizados a utilizar las diversas Marcas Registradas de SAI y PADI y dirigir el entrenamiento SAI y PADI, sin embargo no son agentes, empleados o franquiciados de SAI o PADI. Asimismo comprendo que esas actividades comerciales son independientes, y no son propietarios ni están dirigidos por SAI ni PADI, y que aunque SAI establece los estándares de los programas de natación PADI, ni SAI ni PADI son responsables de, ni tienen el derecho de controlar las operaciones de las actividades comerciales de las instalaciones y la gestión diaria de los programas de natación. Asimismo entiendo y acepto en nombre de mí mismo/a, mis herederos y mi patrimonio que, en caso de lesión o muerte durante este programa, ni yo ni mi patrimonio buscaremos responsabilizar a SAI o PADI por las acciones, inacciones o negligencia de ConnectOcean Aquatic Academy y/o los instructores asociados con el programa. ME HE INFORMADO PLENAMENTE, ASÍ COMO A MIS HEREDEROS, DEL CONTENIDO DE ESTE ACUERDO DE EXONERACIÓN DE RESPONSABILIDAD Y ASUNCIÓN DE RIESGOS Y LA DIVULACION AJENA A LA AGENCIA Y EL ACUERDO DE RECONOMIENTO, LEYÉNDOLOS ANTES DE FIRMARLOS, A NOMBRE PROPIO, DE MI HIJO/A MENOR DE EDAD Y DE TODOS LOS HEREDEROS. •	Swim Suit - we recommend one-piece bathing suits for girls and swim trunks or Speedos for boys. Rash guards are okay. No t-shirts, shorts, or sewn-in floats allowed. No swim aids (inflatables, etc.) of any kind are allowed at any time, as they can actually be a drowning risk. •	Goggles - Goggles are recommended, but not required. •	We require that all children over the age of 3 years old whose hair is long enough to get in their eyes wear a swim cap. This prevents the swimmer's hair from interfering with breathing whilst training. While we encourage all children to wear a swim cap, we understand that some may have sensitivities and be unwilling or reluctant to do so. If your child has a sensitivity that would be effected by a swim cap, please let your instructor know and we will accommodate their needs. Due to allergies, latex swim caps are not allowed to be worn. •	We request that students refrain from eating large amounts of food within 2 hours of their swimming lesson. The movement in the water can often upset children's stomachs and vomiting in the pool forces us to cancel lessons. Please only give children a small snack before their class. •	If a student has a fever, diarrhoea, or a contagious illness, please stay at home until the illness has subsided. If you are unsure, please consult your physician for the proper course of action. •	Individuals with open wounds are not allowed in the pool. ConnectOcean is NOT a drop off program and is NOT equipped to provide before or after class supervision. For the safety of your child, please ensure timeous collection after a scheduled class. •	Monthly automatic debit from (local) checking or savings accounts. •	Monthly automatic debit from Visa or MasterCard. ConnectOcean provides for (full) Scholarships for deserving students. If you are a parent, and are aware of a talented, deserving student who cannot afford sessions, please contact us via email. We'll keep you posted. When students consistently attend their regularly scheduled class it creates the best possible learning environment for them. However, we realize that occasionally it is impossible to attend your regularly scheduled class; therefore, as benefit to you, we offer unlimited make-ups! •	Advance notification of an absence is given in order to be eligible for a make-up. •	Options for notification include: online through our website, calling, emailing or verbal notification to instructors and coaches. •	Make-up space is not guaranteed. It is on a first come first serve basis. •	Absences cannot be credited towards future tuition. •	Make-ups cannot be rescheduled, we DO NOT make-up a make-up. •	Make-ups will only carry over to the next session that the student is enrolled in. Clients / parents / students have close to 130 classes at 3 locations to choose from. The commitment of choice entails that a student honours the choice, as many classes have an attendance limit. Untimely attendance puts an unnecessary risk on both the student AND the class Instructor - safety in the pool is of CARDINAL importance, and an Instructor may be overextended if a class meant to contain 8 students swells to a class of 20! If you or a child is enrolled in a class and would like to change the day or time that you/they swim, you may view class availability online through the Parent Portal. When you find a class that fits your schedule, please contact us and we will gladly help you switch classes. If a class must be cancelled due a facility-related emergency, a make-up class will be scheduled. We will be alerting customers of emergency closures by using email. If a cell phone number is on file, we may attempt to send a text message alert, but currently we will use email as the priority. Families who wish to withdraw from swim lessons must provide us with a 2-week written notice of their desired stop date. This can be done electronically. Email is our preferred form of communication. We email our customers regularly with information, newsletters, upcoming events, and promotions. ConnectOcean may wish to record images of participants during competitions for promotional and training/development purposes. These images may be used in mediums including: publications and promotional material, and broadcast, print and electronic media. 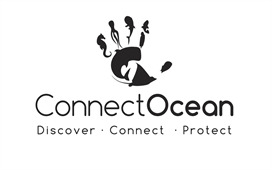 ConnectOcean agrees not to use any photo in a manner that may be deemed adverse or defamatory to the person(s) involved and it will not use the photo for any commercial gain. The photo will remain the property of ConnectOcean and any personal details regarding this photo will be kept confidential and will not be used for any purpose other than related to this photo. It is a condition of entry into competitions that participants may be subject to photography/filming as described above and that consent is provided for this purpose. As Team Contact I advise that all team members and parents/guardians (if under 18) are aware of the above conditions and agree to comply. The Las Catalinas Beach Club is a member-only facility and non-residents are not permitted to make use of the facility. ConnectOcean clients may use the pool and ground level change rooms for their designated classes.